The Jersey City Violent Crimes Task Force arrested three men and one woman on October 13, 2016 in the vicinity of Stegman Street and Ocean Avenue in Jersey City on various firearm and controlled dangerous substance charges. 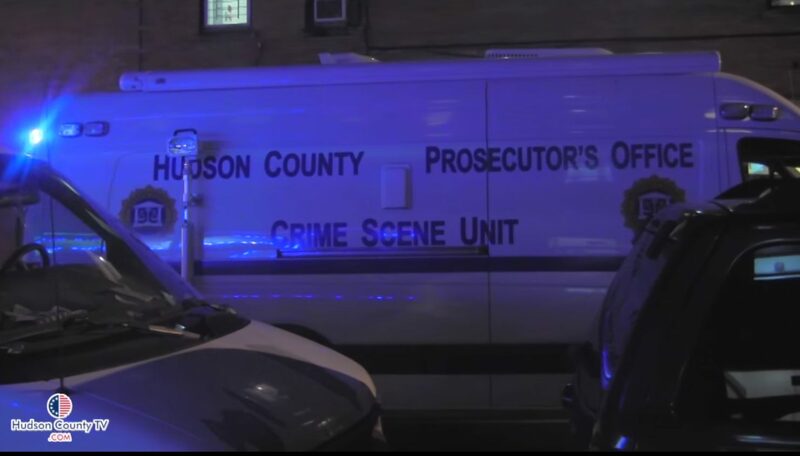 At approximately 10:50 p.m., Task Force members arrested Daquan Hart, age 19, Christopher Floyd, age 20, and Raheem Porter, age 23, all of Jersey City. Also arrested was Jennifer Lopez, age 36, of Bayonne. While in the process of making the arrests, members of the Task Force discovered two illegal firearms, one of which was loaded. Officers also discovered additional amounts of suspected cocaine and suspected heroin. Hart was charged with Unlawful Possession of a Firearm in violation of N.J.S. 2C:39-5b; Unlawful Possession of a Defaced Firearm in violation of N.J.S. 2C:39-5b(1); Possession of a Firearm for an Unlawful Purpose in violation of N.J.S. 2C:39-4a; Possession of a Defaced Firearm for an Unlawful Purpose in violation of N.J.S. 2C:39-4a; Possession of a Community Firearm within an Association in violation of N.J.S. 2C:39-4a(2); Possession of a Firearm While in the Course of Committing a Controlled Dangerous Substance Offense in violation of N.J.S. 2C:39-4.1; Possession of a Defaced Firearm While in the Course of Committing a Controlled Dangerous Substance Offense in violation of N.J.S. 2C:39-4.1a; Conspiracy to Distribute a Controlled Dangerous Substance in violation of N.J.S. 2C:5-2a; Distribution of a Controlled Dangerous Substance in violation of N.J.S. 2C:35-5b(3); Possession with Intent to Distribute a Controlled Dangerous Substance in violation of N.J.S. 2C:35-5b(3); Possession of a Controlled Dangerous Substance with Intent to Distribute within 1000 feet of a School in violation of N.J.S. 2C:35-7a; Possession of a Controlled Dangerous Substance with Intent to Distribute within 500 feet of a Public Property in violation of N.J.S. 2C:35-7.1a; Possession of a Controlled Dangerous Substance in violation of N.J.S. 2C:35-10a; Possession of a Defaced Firearm in violation of N.J.S. 2C:39-3d; Distribution of a Controlled Dangerous Substance within 1000 feet of a School in violation of N.J.S. 2C:35-7; and, Distribution of a Controlled Dangerous Substance within 500 feet of a Public Property in violation of N.J.S. 2C:35-7.1a. Floyd was charged with Unlawful Possession of a Firearm in violation of N.J.S. 2C:39-5b; Possession of a Firearm for an Unlawful Purpose in violation of N.J.S. 2C:39-4a; Possession of a Community Firearm within an Association in violation of N.J.S. 2C:39-4a(2); Possession of a Firearm While in the Course of Committing a Controlled Dangerous Substance Offense in violation of N.J.S. 2C:39-4.1; Conspiracy to Distribute a Controlled Dangerous Substance in violation of N.J.S. 2C:5-2a; Certain Persons Not to Carry a Firearm in violation of N.J.S. 2C:39- 7a; Possession with Intent to Distribute a Controlled Dangerous Substance in violation of N.J.S. 2C:35-5b(3); Possession of a Controlled Dangerous Substance with Intent to Distribute within 1000 feet of a School in violation of N.J.S. 2C:35-7a; Possession of a Controlled Dangerous Substance with Intent to Distribute within 500 feet of a Public Property in violation of N.J.S. 2C:35-7.1a; and, Possession of a Controlled Dangerous Substance in violation of N.J.S. 2C:35- 10a. Porter was charged with Unlawful Possession of a Firearm in violation of N.J.S. 2C:39-5b; Possession of a Firearm for an Unlawful Purpose in violation of N.J.S. 2C:39-4a; Possession of a Community Firearm within an Association in violation of N.J.S. 2C:39-4a(2); Possession of a Firearm While in the Course of Committing a Controlled Dangerous Substance Offense in violation of N.J.S. 2C:39-4.1; and, Conspiracy to Distribute a Controlled Dangerous Substance in violation of N.J.S. 2C:5-2a. Bail has been set at $75,000 cash or bond for Hart, Floyd and Porter.